The world champion expressed through a video his intention to compete in the Colombian round in the 2020 edition after not planning for this season. Alejandro Valverde will run the Colombia Tour in 2020. Through a video broadcast during the presentation of the 2019 edition, the current world champion expressed his intention to compete next year because, due to changes in his calendar, he will not take the departure in this edition. I hope to enjoy Colombia and its fans. A big hug and for 2019 to be a successful race, a great Tour of Colombia. "Marc Soler will replace Valverde in the current edition of the race. 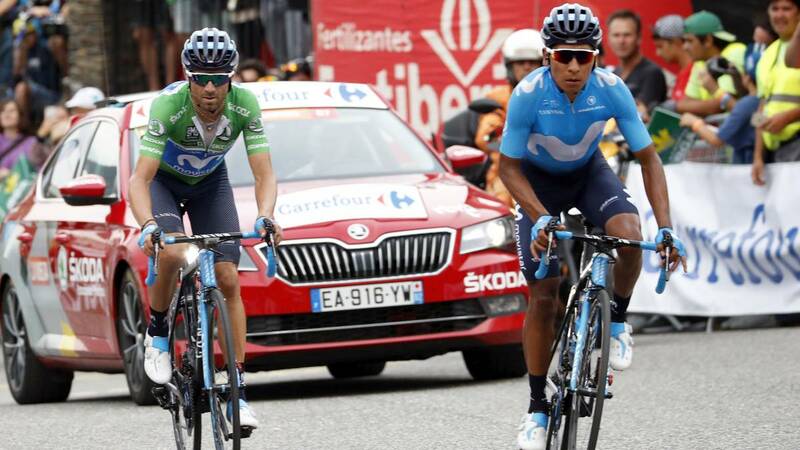 Valverde's partner at Movistar, Boyacense Nairo Quintana expressed his illusion of running along with the current world champion in the race. "Surely Valverde and other champions will come this year. The governor of Boyacá is already preparing roads and routes for what will be next year, so without starting this is already starting the other ".